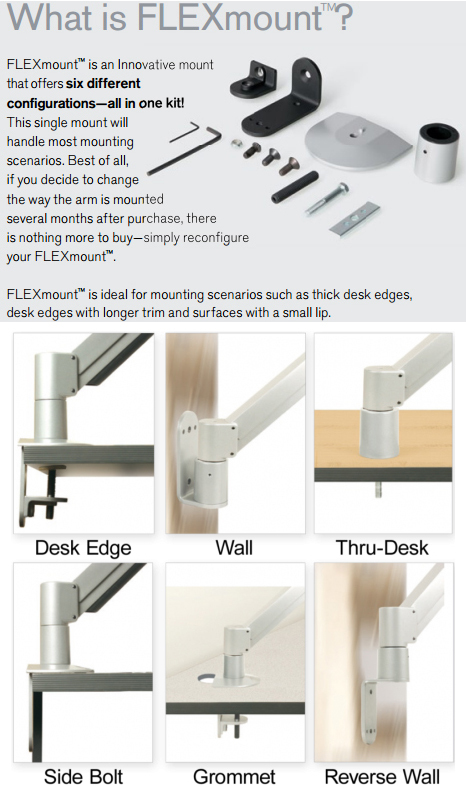 Innovative 9140 data entry arm allows the user to instantly adjust height and position of monitor and keyboard. Choose from several different keyboard platform options - platform must be purchased separately. Up to 17 1/2"of reach on the standard arm. Additional 10" of extension with Keyboard Model 8137 (sold separately). Additional 12" of extension with Keyboard Model 8138 (sold separately). Arm rotates 360° at three joints. Tilt mechanism can tilt over 200° upward. Weight capacity: Up to 8-22 lbs. (3.5-10Kg). Maximum Reach Up to 17-1/2"